- Trusted dettol protection. Be 100% sure. 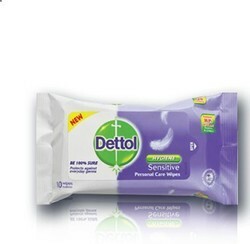 - Use dettol multi use wipes for the dirt you can see and the germs you can’t. - Antibacterial cleaning wipes, kill 99.9 percent of bacteria and disinfect. - Remove 90 percent of allergens. Dettol Multi-Use Wipes can be used on both skin and surfaces. They give you protection from a wide range of germs wherever, whenever. 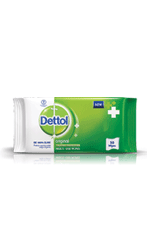 Dettol Antiseptic Multi-Use Wipes are ideal for instant clean-ups of your hands and face or even surfaces. Protects from a wide range of germs anytime, anywhere. Ideal for instant clean-ups for your hands, face & germy surfaces like nappy changing areas, park benches, dirty eating tables etc.Gentle on skin, alcohol free. - Protects from a wide range of germs anytime, anywhere. Ideal for instant clean-ups for your hands, face & germy surfaces like nappy changing areas, park benches, dirty eating tables etc. We are engaged in offering nature wallpaper. Dettol Multi-Use Wipes are suitable for use on both skin and surfaces. They provide protection from a wide range of germs.